Do you ever think about those beautiful models having thick,long and dark eyelashes?Thick,dark and long lashes make your eyes look gorgeous.But not every one is endowed to have long thick and dark eyebrows.If unfortunately you are also one of the unlucky ones,you don't need to worry.As every problem has a solution,this problem is also having a solution.There are some home remedies that can be used to make your eyelashes gorgeous.The best home remedy to get thick,long and dark eyelashes is a castor oil,it is used on eyelash for growth and thickness.It also makes them stronger and prevents their breakage. Now a days many people are willing to spend any amount of money on artificial cosmetic products for making their eyelashes to look gorgeous(thick,long and dark). These cosmetics products are used by many women as they are quick means to enhance their beauty,but as these are artificial they don't work for long time. So,what you need an effective natural or home remedy.The use of castor oil is the best way to tmake them grow longer. Is Castor Oil Is Really Effective For Eyelashes?Let's Know? Let us see which makes it effective in growing eyelashes.It contains vitamin E,protein,minerals and many antibacterial properties.It is also rich in triglyceride kind of fatty acids ti generally works by hydrating and strengthening the eyelashes. It generally re-hydrates and moisturizes the area where it is(castor oil) is applied. 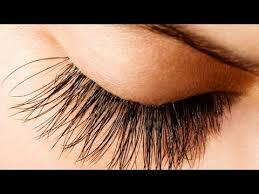 It is packed with many nutrients that helps us in eyelashes growth. It is also capable of penetrating deep into the skin and work from the inside. Note: Many types of castor oil are available in the health stores that are used for different purposes.It is necessary that you have to use a type of castor oil which is right for using on eyelashes.So be careful while reading the label of the castor oil in health stores and go for the one that is 100% cold pressed. Let's Know The Applying Process Of Castor Oil To Eyelashes? 2. 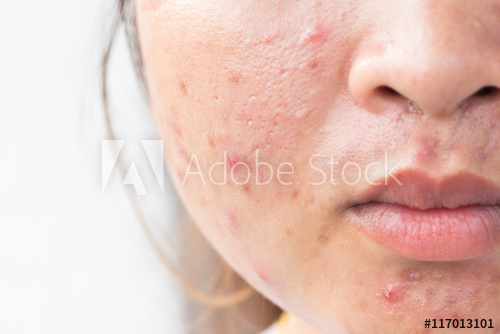 Then wash your face with the clean water properly mainly the eye area.Be sure that you have removed all traces of makeup especially from eye area. 3. Use cold pressed castor oil as it is pure and the more of natural kind. 4. Take your clean eyeliner brush and dip it into the castor oil and tap off any extra to ensure the brush does not carry oil in excess amount. 5. Apply the oil carefully onto your eyelashes starting at the inner corner of the eye.Make sure that the lashes should be completely coated with the castor oil from roots to the top. 6. Apply castor oil at night and then go to sleep.Leave it all over the night. 7. In the next morning when you wake up make sure to clean off the castor oil completely.You can gently remove it with the fresh water and take care do not rub or pull on your lashes lest you break them. 8. Repeat this process regularly until you gert the desired result.You can the desired result within 4-5 weeks.